A special end of the day reminder that the deadline for the Alena Suazo Memorial Scholarship is tonight. 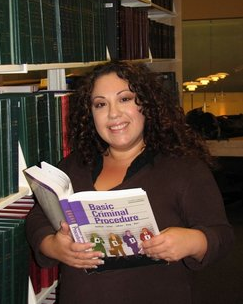 Alena, who is pictured on the second floor of the law school, is an alum who passed away in February, 2011. Her love was social justice. Friends and family created this scholarship in honor of her memory and to further her work as an advocate. The scholarship helps cover the unexpected costs associated with law school. Any student who has worked in service to marginalized communities is eligible to apply. Ease into the New Year with these Summer Job Search Webinars! The host—The National Association of Legal Career Professionals—will be moderating a Q&A session during the webinars. Although the seminars will be recorded and archived, we recommend that you join for a live session if you can.